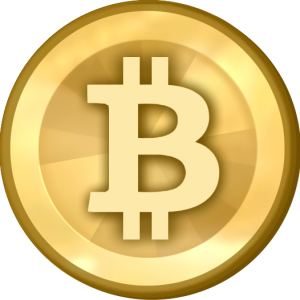 Bitcoin is a virtual currency that has no intrinsic value. The only thing giving bitcoin value is the faith that people have in it, and now that faith has been shattered. This week, the most prominent bitcoin exchange in the entire world, Mt. Gox, totally collapsed. At one time, Mt. Gox boasted more than a million accounts and it accounted for approximately 25 percent of all global bitcoin trading. But now the website has been taken down, there are rumors of catastrophic losses, and many investors are concerned that they will lose all of their money. In fact, according to one report, investors could be facing total losses of up to 367 million dollars. The collapse of Mt. Gox is also affecting other bitcoin exchanges. As I write this, the market value of bitcoin had fallen to about $470, but just three months ago it was trading close to $1,200. Needless to say, a lot of bitcoin investors are going to be licking their wounds tonight. I have never written much about bitcoin because I never believed in it. Personally, I have always preferred to stick to silver and gold. But I can’t blame people for wanting to create a monetary system that worked outside of the central bank-controlled paradigm that we have today. I just didn’t have any faith in bitcoin. I considered it something of a Ponzi scheme. That is why I never recommended it to anyone. Those that got in early and got out at the peak of the market made a killing. Good for them. But most investors are going to end up taking a bath – especially those that got in at the very end. A major bitcoin exchange has gone bust after secretly racking up catastrophic losses, other virtual currency companies said Tuesday – a potentially fatal blow for the exotic new form of money. The website of Tokyo-based Mt. Gox was returning a blank page Tuesday. The disappearance of the site follows the resignation Sunday of Mt. Gox CEO Mark Karpeles from the board of the Bitcoin Foundation, a group seeking legitimacy for the currency, and a withdrawal ban imposed at the exchange earlier this month. A lot of people out there are insisting that bitcoin can still overcome this and that it is still a sound currency system. More power to them. I certainly wish them no ill will. I just don’t agree with them. The biggest Bitcoins exchange has gone bye-bye. It took with it the money that the investors thought was safe. How will the investors prove in a Japanese bankruptcy court that they deserve a part of the supposed $32.75 million? After all, the transactions are all secret. Anyone that invests in bitcoin needs to realize that they could lose everything. There is no deposit insurance. There is very little regulation. Nobody is going to bail you out if some corrupt businessman takes all of your bitcoins and drops off the map. It is truly like the wild West. The amount of money that some bitcoin investors stand to lose from the collapse of Mt. Gox is staggering. Coinapult and SatoshiDice founder Erik Voorhees says that he may lose about $285,000. Bitcoin trader Kolin Burgess fears that he may lose about $320,000. Some people are going to go from being “bitcoin millionaires” to paupers almost overnight. Yes, I know that there are a lot of people out there that are fervently insisting that this is not the death of bitcoin. The purpose of this document is to summarize a joint statement to the Bitcoin community regarding the insolvency of Mt.Gox. This tragic violation of the trust of users of Mt.Gox was the result of one company’s actions and does not reflect the resilience or value of bitcoin and the digital currency industry. There are hundreds of trustworthy and responsible companies involved in bitcoin. These companies will continue to build the future of money by making bitcoin more secure and easy to use for consumers and merchants. As with any new industry, there are certain bad actors that need to be weeded out, and that is what we are seeing today. So will the bitcoin community bounce back and be stronger than ever? You never know. I certainly wish them the best. I simply do not plan to participate. Authorities have been taking an increasingly hard look at Bitcoin and related virtual currencies including Litecoin, Namecoin, Ripple, and countless others. Some countries, including Russia, have effectively banned the currency. In other jurisdictions, authorities are weighing whether to try to tame the marketplace through licenses or other mechanisms. It is entirely possible that the collapse of Mt. Gox could have been manufactured by a government or a central bank. Considering the other things that have been revealed over the past couple of years, it would be naive to think that governments and central banks are unwilling to engage in such subterfuge. In addition, consider what would happen to the other exchanges if the U.S. or the EU publicly announced a complete ban on bitcoin someday. There are just too many risks. Like I said, I wish those well that are involved in bitcoin or any of the other alternative virtual currencies that are floating around out there. Hopefully some of those virtual currencies will succeed. But most average American families simply cannot afford to put their hard-earned money into schemes that could evaporate literally overnight. So what do you think about bitcoin?